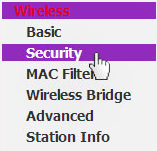 Choose 'Security' from the sub-menu. 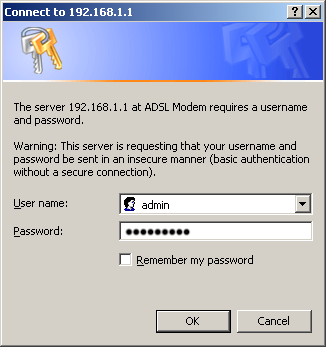 A pop-up window opens showing the current password. If any changes were made, Hit 'Save/Apply' and the router will broadcast the new information. If no changes were made, skip this step and continue to connect to the wireless. 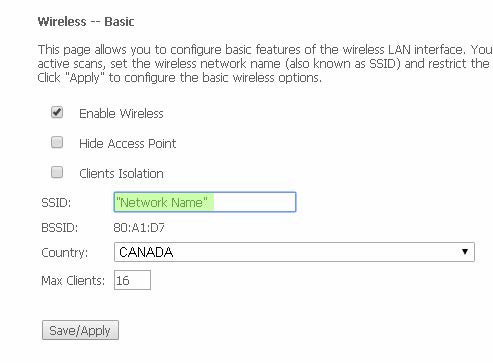 Click 'Save/Apply' to apply and re-connect using the new SSID.